Reducing waste crime and poorly operated waste management sites are high on our list of priorities at the Environment Agency. In the March Budget, the government announced a welcome additional £4.2 million of funding from the community landfill tax scheme to support our work. I work as an Environment Manager leading on our waste enforcement programme, which will help make sure illegal operators are stopped and waste is correctly labelled and handled. As part of the programme we’ve also been asked to give feedback to government on where better regulatory controls could help protect the environment and benefit the economy. We’ll have more staff at the frontline to stop illegal waste sites, operators involved in illegal waste exports, poorly performing sites and those who mis-described waste to evade taxation. We want to protect local communities and the environment. And we want to prevent illegal operators undercutting businesses who work within the law and invest properly in building and running their business. The waste industry has changed profoundly in the last 10 years or so and now recycles and recovers more valuable resources from our waste than ever. This is driven both by economic forces and government targets to increase the proportion of waste that’s recovered from our wheelie bins at home. It’s good news, but it does mean that specific sorted wastes are now transported and stored across the country. And these separated waste streams can have very different physical and chemical properties to “mixed waste” or domestic refuse. We’re investigating into a number of areas to feedback to government on where we may want to amend existing legislation to respond to the existing market conditions whilst at the same time keeping it simple and avoiding burden on legitimate waste business. Many of these will start with visits to sites and sampling of materials for analysis. All of the actions we take will involve close working with the waste industry and we’re encouraging waste producers and local councils, to refocus on their legal obligations under Duty of Care to ensure waste is handled correctly and doesn't end up in poor performing or illegal sites. Customer action can help deliver quicker changes to waste problems. The way we regulate the waste industry is changing fast, partly in response to the changes in the market and partly to address criminal activities that stem from those changes. We’re investing in the way we gather and share intelligence. We’re training with the Police and using the Government Agencies Intelligence Network (GAIN) to make sure we get the best information from and to our partner agencies. For example, HMRC and Environment Agency operational teams are working together to tackle non-compliance and waste crime more effectively. 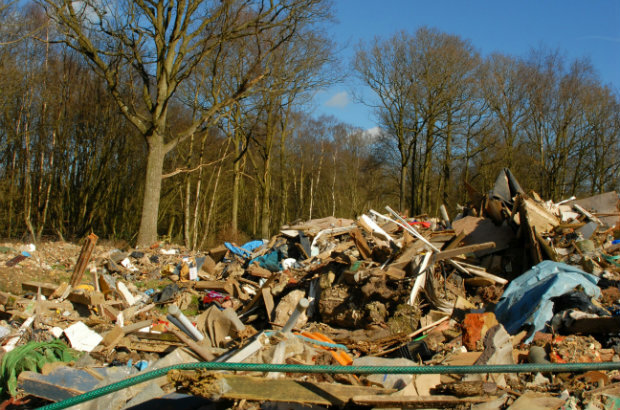 The Environment Agency works in partnership with Crimestoppers to ensure that the public and industry have an anonymous route to provide information about suspected or illegal waste activity. Everyone has a part to play to reduce the waste crime problem. The information we receive helps us to build intelligence about businesses who are operating illegally or exporting waste illegally. If you see or suspect waste crime, report it. Call Crimestoppers on 0800 555 111 or give information online www.crimestoppers-uk.org. David Hudson is an Environment Manager who works on the Environment Agency’s waste enforcement programme. He will be tweeting at @davidhudsonEA about the programme as it goes forward. To highlight the problem, but the environmental agency email address I was given didn't seem to exist , and the sam thing happened to my colleagues. When I called them back I was told if people are not using our green logo there isn't much we can do about it and they also said we don't look on social media ! I think the environmental agency should be doing a lot more to help responsible people who have purchased a licence, especially when they are offering to help with imfomation towards reducing waste crime .